Meet Brooks and Jenny. 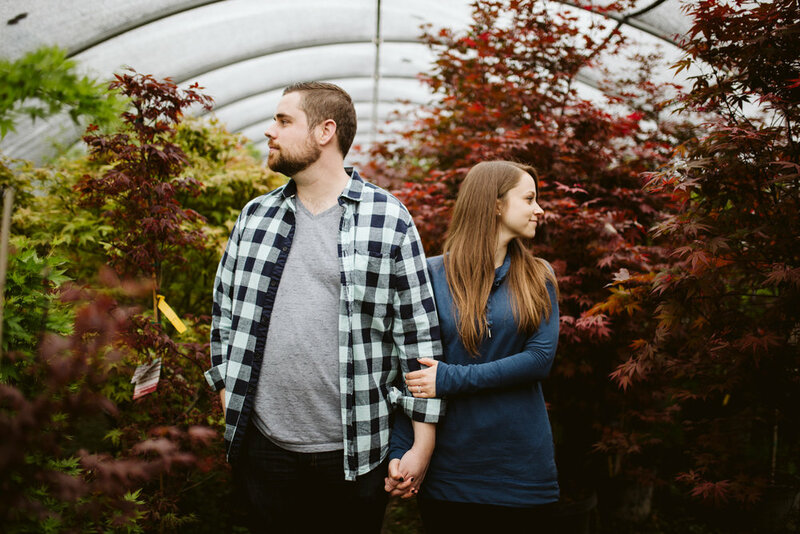 Last Saturday we went to Hewitt Garden & Design Center in Franklin for their engagement session, and it sure was dreamy! Put me in a room full of plants any day, and I’ll be the happiest version of myself. 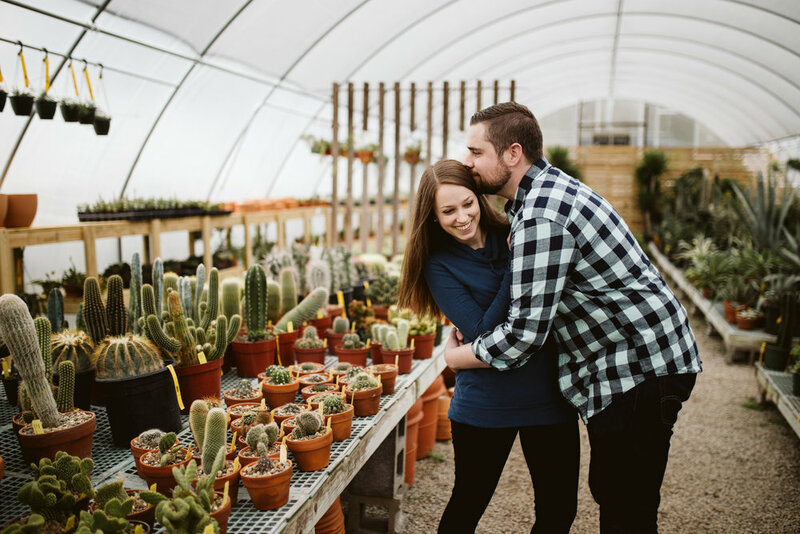 We weren’t sure if it was going to rain or not (because Nashville can’t seem to make up its mind most days), so a greenhouse seemed like the best option! It has all the trees of Radnor Lake or Percy Warner Park (almost, right? ), but without the chance of rain. Perfect. 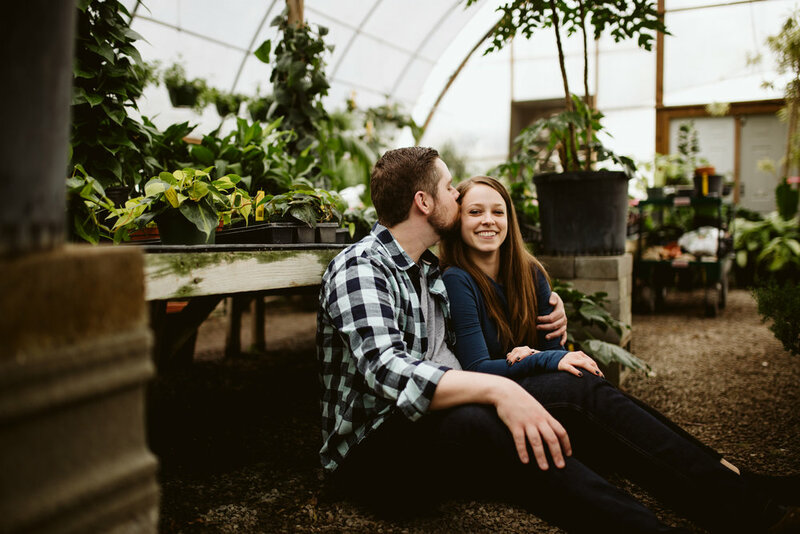 So we took to the various greenhouses, a new ecosystem in every room, and never had to break out an umbrella. Here are a few of my favorites from their session! Keep on scrolling for a little bit of their story, from Jenny. We met through mutual friends in early January 2015 at a viewing party of The Bachelor. We were in the same friend group for a while and both secretly (or maybe not so secretly?) liked each other for months. We went to Bella Napoli in Edgehill and ate pizza. We’d gone months prior for a friend’s birthday, but Brooks was doing Whole 30 and had to eat a salad and I wasn’t eating bread for 30 days (just wanted to see if I could do it ), so I couldn’t eat anything good either. Brooks decided we needed a redo and needed to eat the pizza! Then we went bowling and he was way better than me but it was a lot of fun! Have you had any good, funny date fails? And there you have it. 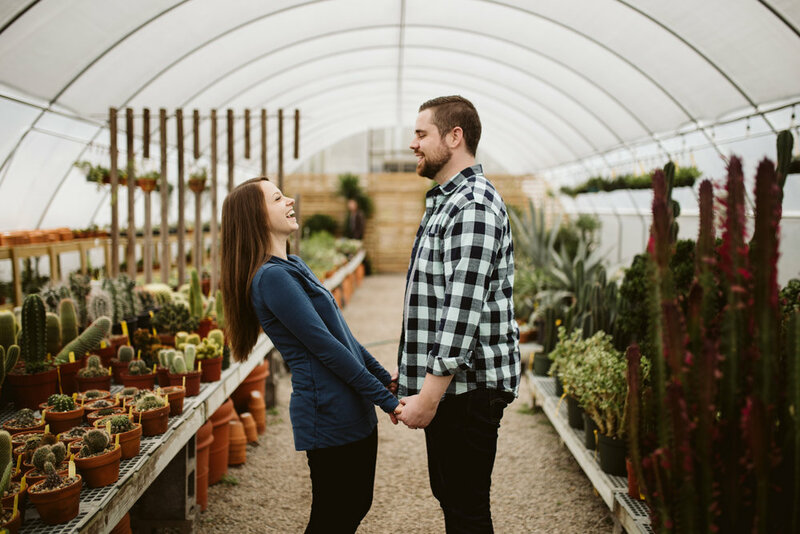 Brooks and Jenny’s engagement session. 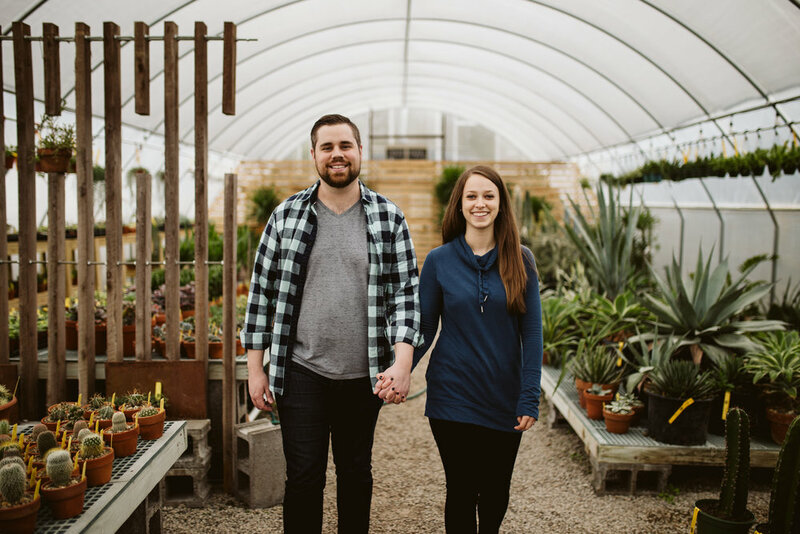 Two of the kindest people I know, and their Barn in the Bend wedding is going to be SO sweet! 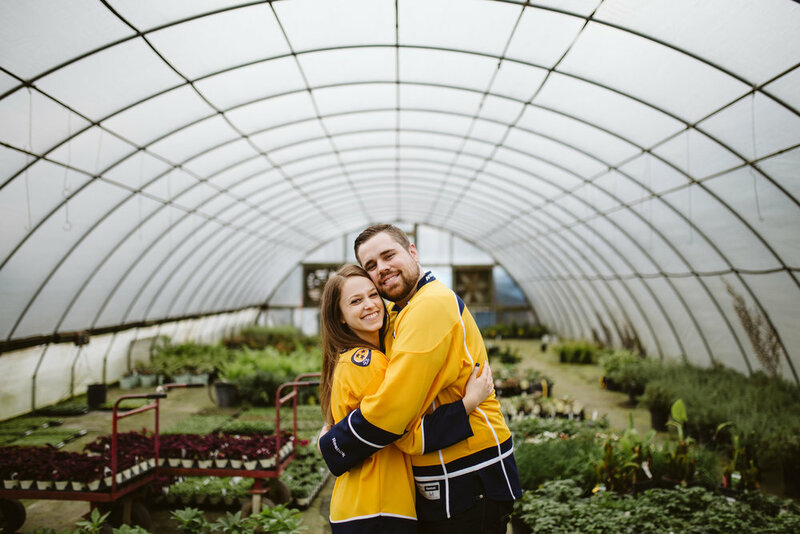 If you’d like to plan your own Nashville engagement session, come say hey! 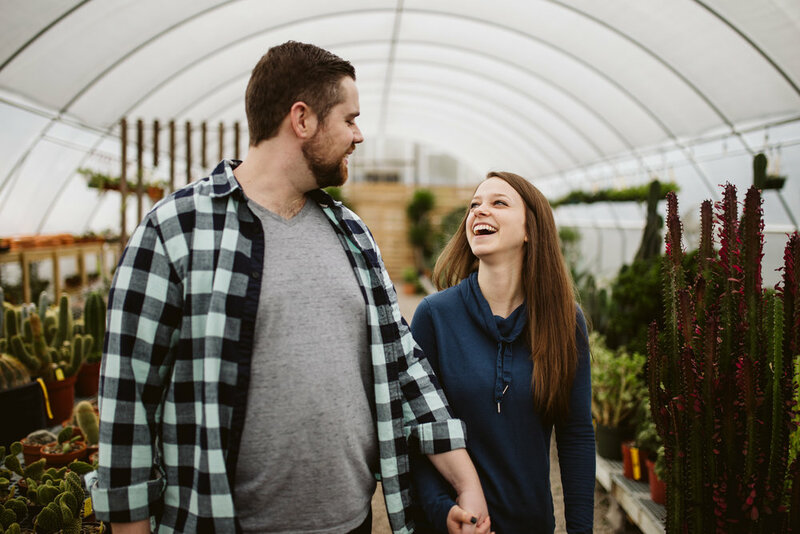 And for more Tennessee engagement sessions, just click here.